In 1999, Audemars Piguet created the Tradition d’Excellence collection. 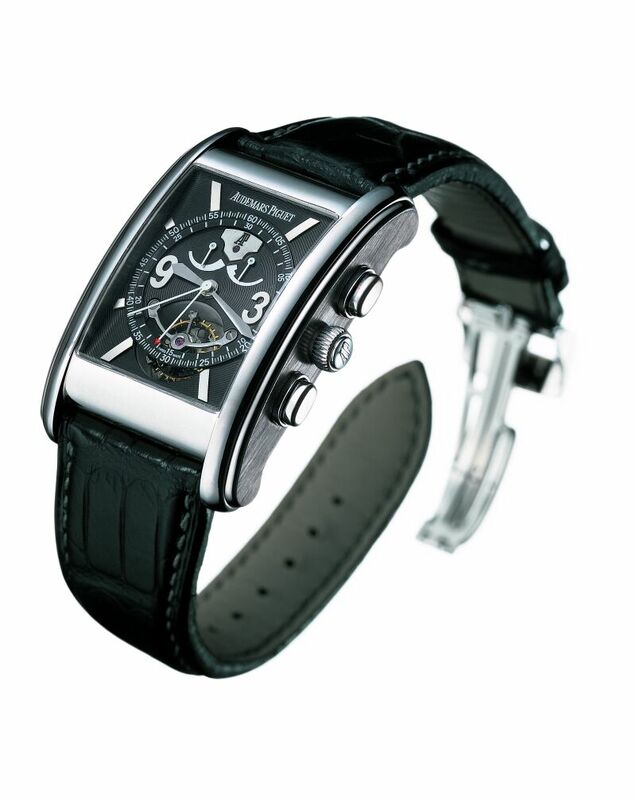 Its principle consists of introducing eight remarkable timekeepers over a period of eight consecutive years. Each is issued in a strictly limited edition of twenty and is intended to focus on a particular function. For the first time, the third masterpiece in this collection is part of the Edward Piguet line and offers devotees of Haute Horlogerie a complex watch that highlights the chronograph mechanism. Fitted with a tourbillon, like its two predecessors, this rare creation is to be stored in a precious wood marquetry-worked cabinet specially designed to house this collection. The new rectangular platinum case of the Edward Piguet line, adorned with two godrons on either side and equipped with sapphire crystals front and back, has been chosen to accommodate this mechanical hand-wound movement. 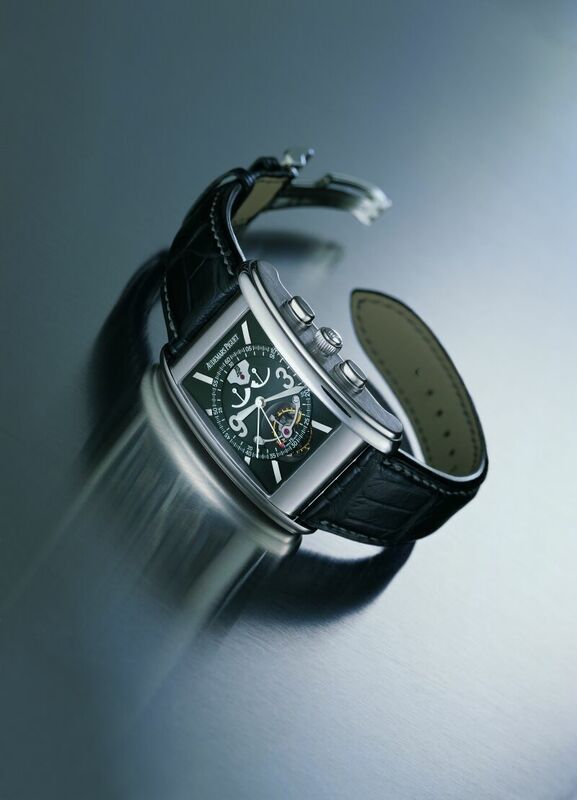 The oxidised black dial features two cut-outs at 6 o’clock revealing the tourbillon carriage. The power-reserve and Dynamograph® indicators are placed symmetrically at 12 o’clock. The rectangular dial shape frames a circle around which the markers for the centre seconds hand and the chronograph counter are arranged. Finally, eight hour-markers and two applied Arabic numerals, riveted to the dial, complete this perfect sense of balance. Tradition d’Excellence n° 3 features a mechanism that is indispensable in measuring the time elapsed between two acts: the chronograph. The originality of this particular one lies in the central display for the minute counter, as well as the new materials used to make some of its parts, such as titanium to diminish the weight of inertia or arcap, which retains its original colour despite oxidation. Moreover, a power-reserve indicator provides a visual reminder of the state of winding of the watch (a quantitative item of information), and an Audemars Piguet exclusive Dynamograph® showing the ideal mainspring torque. The latter qualitative indication results in optimal running of the movement and thus enhances precision. A first glimpse of the elegant dial reveals a tourbillon through a circular cut-out. This mechanism, composed of an escapement wheel, lever and balance placed within a rotating carriage, was first patented in 1801 to compensate for variations in rate due to gravity. 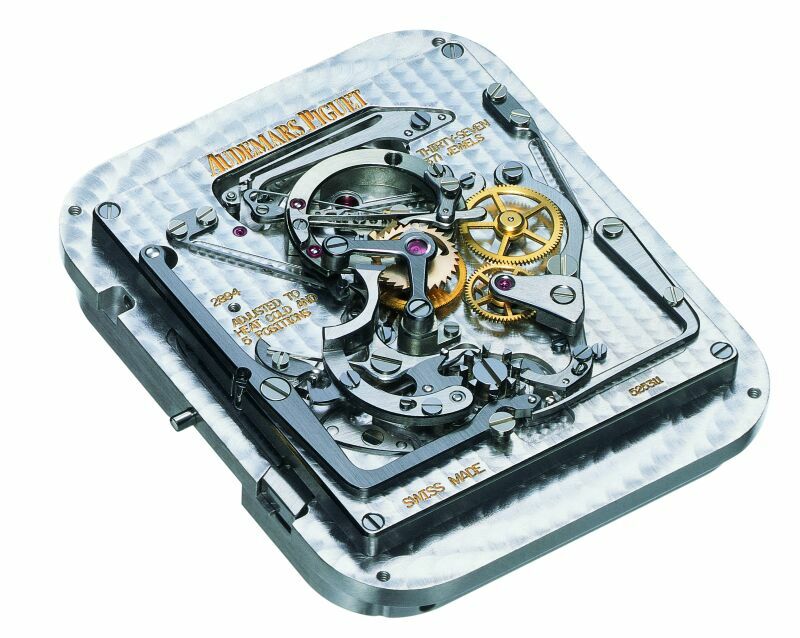 In 1986, for the first time ever, Audemars Piguet used this mechanism in an ultra-thin selfwinding wristwatch. Now, with Tradition d’Excellence n° 3, the Manufacture in Le Brassus is perpetuating this spirit of innovation and taking up a new challenge by associating a tourbillon, chronograph, power-reserve indicator and Dynamograph® within an exceptional movement composed of 323 parts, all assembled and decorated by hand. To offer enhanced visibility, the instant-jump minute counter has been placed at the centre of the movement, on the case-back side. On the dial side, the mobile tourbillon carriage, by revolving once a minute, allows the escapement organs (wheel, lever-pallets and balance) to change position constantly. “Côtes de Genève” patterning on bars and bridges. Created in 1875 by Jules-Louis Audemars and Edward-Auguste Piguet in the Swiss village of Le Brassus, Audemars Piguet is the oldest “Manufacture de Haute Horlogerie” never to have left the hands of the founding families. 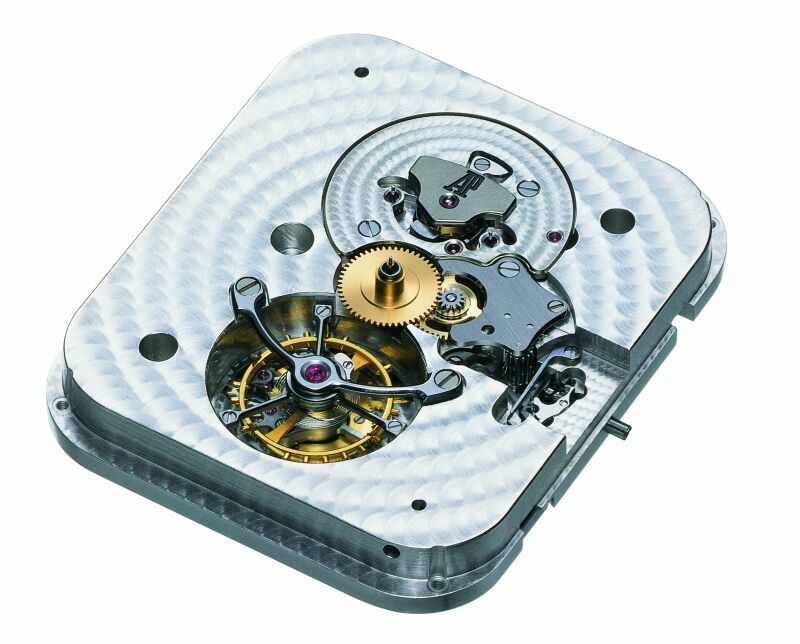 It currently holds a record number of world firsts in the field of complex watch mechanisms. Today, 430 people work in the three production sites located in Switzerland (Le Brassus, Le Locle and Geneva), while 70 others are employed in the distribution subsidiaries in Germany, France, Switzerland and the United States.